Just when you've forgotten about the HP-developed webOS operating system, it crops up again. First as the platform for LG's new smart TVs and now potentially adapted to a new wearable product. 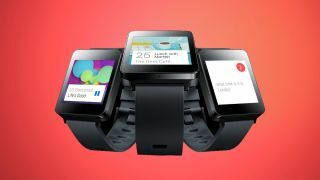 LG originally bought the software from HP, and the Korean company has now let slip a development kit for a webOS LG smartwatch is in the pipeline. The website has now been pulled, but as The Verge noted, LG's cartoon Bean Bird mascot from its webOS TV lineup also makes an apperance wearing a wristwatch. LG already has two wearable devices doing the rounds - the G Watch and G Watch R - both of which use Google's wearable-centric Android Wear OS. The move to bring in webOS could be in order to avoid over-reliance on Google's platform. Arch-rival Samsung also has its own proprietry operating system, Tizen, used for wearables including the Gear 2 and Gear Fit. We've approached LG for more information, but unfortunately the company declined to comment on the issue. Meanwhile, is the Apple Watch pushing wearable tech into the mainstream?